Police across Herts, Beds, Bucks and Northants are asking youngsters to take care when hunting Pokemon Go characters during the summer holidays. "Parents should talk to their children about where they're going, who they are going with and how long they're going to be." But there's also a warning to older teens and adults not to go onto private land to play the game as trespass is still classed as a crime - the advice is to stick to public land or ask landowners permission before going into private land. "There are people out there who will try to take advantage of this type of app. In the game there are lures which will attract Pokemon users to that site. What I don't want is young people to be lured to a location they don't know and be a victim of crime." "When PokemonGo was launched, I took the decision to close the gates at Northants Police HQ because we have had a number of people coming on the site looking for Pokeman. We are a country at the moment with a Counter Terrorism threat and people coming onto secure sites will be challenged." Drivers are also being advised not to play the game whilst behind the wheel or abandon their cars on the highway. "Our crime prevention advice in general is to keep your phone out of sight when in public places. Be aware of what's around you and don’t let yourself be distracted. Using your mobile phone in public can make you 'an easy target' for a thief - a mobile phone is stolen in half of all robberies and a mobile phone is the only thing that’s stolen in a third of all robberies. Stay alert, be careful when crossing the road, don’t trespass on private property and avoid dangerous locations or places like poorly-lit alleyways and car parks. Never use your phone whilst driving as this is illegal. If your personal safety is in immediate danger, or if it's an emergency, please call police on 999. 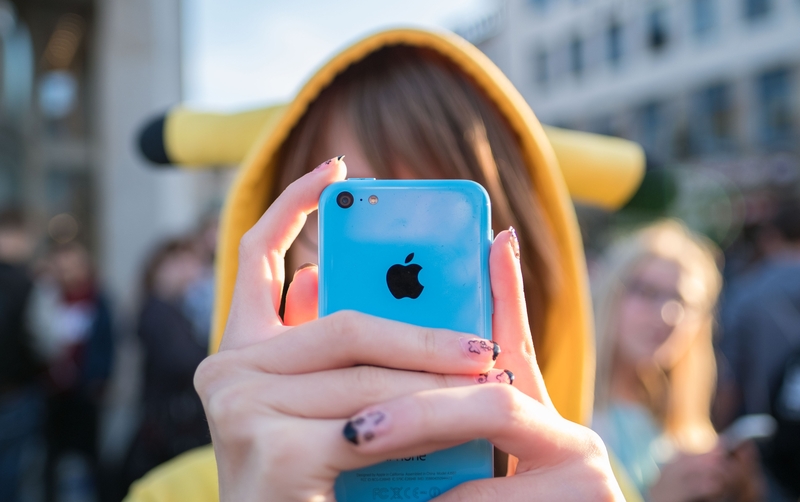 For more information and advice specifically about Pokémon Go, visit https://www.getsafeonline.org/news/pokemon-go-what-you-need-to-know/"
Gloucestershire: Police have given advice to someone who called 999 to complain that someone had stolen their Pokemon. Merseyside: Coastguards are warning Pokemon Go players to use a bit of common sense after 20 people stole a rowing boat to cross a lake to play the game. West Mids: A driver who it's thought had been playing Pokemon Go on a busy ring road has been fined in Stourbridge. US: A driver has smashed into a police car while playing Pokemon Go at the wheel in Baltimore, Maryland. Five people have been robbed in the city in recent days - two at gunpoint - while absorbed in the augmented-reality phone game.